For the first time in years, Enniskillen Drama Festival’s diverse programme has included a production by a Fermanagh-based theatre company. The Knocks Drama Group’s first year competing on the festival circuit was incredibly promising, bringing John McManus’ acclaimed play Danger Money to the Ardhowen stage. 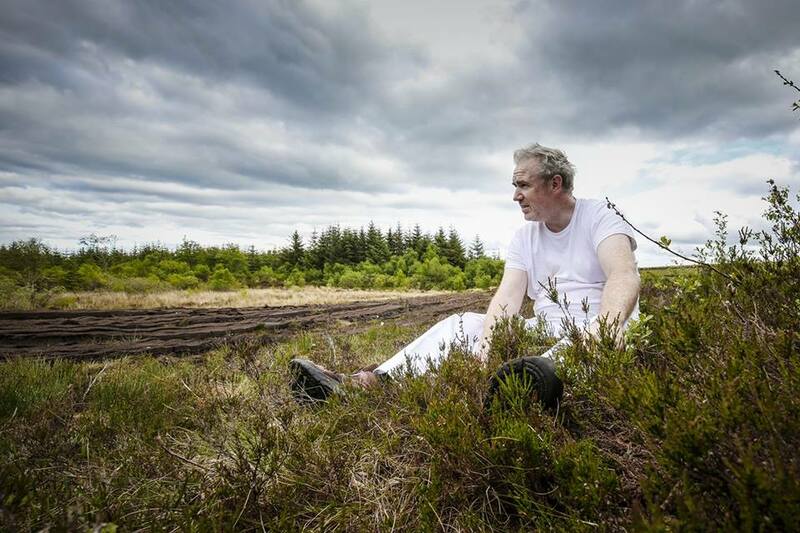 The narrative is led by the play’s sole character, Teddy The Mucker Tucker as he spends an afternoon recounting his life whilst packing turf for his landlord in a bog in County Leitrim. Tucker’s traditional storytelling takes the audience on an imaginative journey through the highs and lows of his past experiences. At one point we are accompanying Tucker to London, a promising move at first, which was soon overshadowed by the dark turn of fate that ultimately had him return to his forsaken Irish homeland. A rollercoaster of emotions from the offset, the audience felt it all. Hearty choruses of laughter were cut-off mid-chuckle by sudden gasps of shock as Tucker’s humorous anecdotes unexpectedly took harrowing twists, his pace never losing momentum, emphasising the horror with its abruptness. Damien McGirr’s command of his role as Tucker was confident and charming as he naturally channelled his many facets, using comedic slurs and expression to front the character’s extreme bitterness and pain. The play’s director, Marty McManus, allowed McGirr to take complete control of his character, thus giving him dimension. He effortlessly carried the story with a monologue that was more akin to a one-sided conversation between the character and the audience thanks to the engaging quality and dialect of the speech. McGirr was unfazed by the added pressure of the playwright John McManus sitting in the audience, completely owning the character of Tucker. The audience left with the feeling that they’d just spent the last couple of hours sitting on a stump in the bog listening to an old friend share his tales. A running theme of Danger Money was Tucker’s freedom and his need to abscond, whether it be physically, by moving his life from place to place or psychologically, confessing how he often turned to alcohol as a temporary escape. These conflicting choices drive the narrative, subtly emphasised by the recurring theme of birds as a representation of the freedom and inner peace that Tucker seeks. When Tucker’s stories were taking a lighter note, the soft singing of birds could be heard in the distance but contrastingly, a haunting silence filled the theatre when sadness and disillusionment struck. The staging was simple yet considered, with minimal props such as the turf bags that Tucker filled occasionally as he spoke, providing subtle action to a play that was mainly vocalised storytelling. The uneven bog-land provided levels, a nod to the high and low points of Tucker’s life as he shifted from standing tall on the bank in success to crouching low in dismay. The use of trees in the background added depth, hinting at the world beyond the bog in which Tucker was briefly absent from whilst undertaking his monotonous yet unexpectedly therapeutic task. Even Tucker’s clothing was highly considered. He wore a light coloured top and trousers that at the start of the play were already grubby, getting dirtier and dirtier as it progressed – a symbol of the downward spiral his life had taken. The mud is only temporary, like the smudges on Tucker’s life. He has the opportunity to be washed clean and start afresh if he makes the right decisions. The audience was hooked from the offset. By the end of the production, everyone was sitting at the edge of their seats, subconsciously leaning forward, wanting more. It was a testament to the ingenuity of the whole production team and the writing of McManus as the audience took to their feet to give a genuinely heartfelt standing ovation. Danger Money was awarded the Audience’s Choice Award at the festival close. A stellar performance and a very impressive debut on the festival scene.